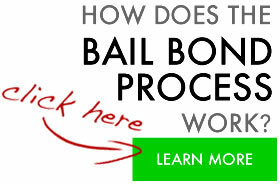 We are a team of bail agents working together to provide our clients with fast, professional service. 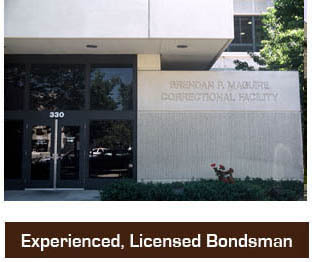 We offer bail bonds in San Mateo, California and are available 24 hours for your convenience. All of our bail agents are licensed by the California Department of Insurance, we are fully licensed, bonded and insured. 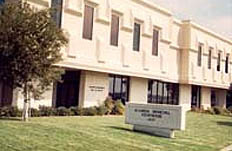 The San Mateo County Jail is located at 300 Bradford Street, Redwood City, California. The Jail takes 3-6 hours to book a new arrestee and another 2-4 hours to release an inmate after they have received a bond. Inmates that appeared in court will not be updated in the jail computer system until after 6:00pm. Once the inmate has been updated they are then eligible for bail. To assist clients that call from remote or distant areas we may be able to complete the necessary paperwork by phone or fax. For more information please call us toll free at 1-800-662-0056 . We are on staff 24 hours 7 days a week. Below we have provided you with San Mateo Sheriffs and Court links and directions. Please use these as a reference tool and feel free to call us if you need assistance. For those outside the County or are not familiar with the cities in San Mateo here is a list of the cities that we serve: Atherton, Belmont, Brisbane, Burlingame, Colma, Daly City, East Palo Alto, El Granada, Foster City, Half Moon Bay, Hillsborough, La Honda, Loma Mar, Menlo Park, Millbrae, Montara, Moss Beach, Pacifica, Pescadero, Portola Valley, Princeton By The Sea, Redwood City, San Bruno, San Carlos, San Gregorio, San Mateo, South San Francisco, West Menlo Park, Woodside. For you convenience we also serve the surrounding counties of Alameda, Santa Clara, San Francisco, Contra Costa and Marin.